What’s Next for SCETV’s Between the Waters Project? Over the past week and a half, the Between the Waters team has presented the project in a series of soft launches at Coastal Carolina University, a research workshop for South Carolina’s National History Day workshop, the Slave Dwelling Project Conference, and at the Avery Research Center. We are thankful to all of our hosts and to everyone who attended these programs. 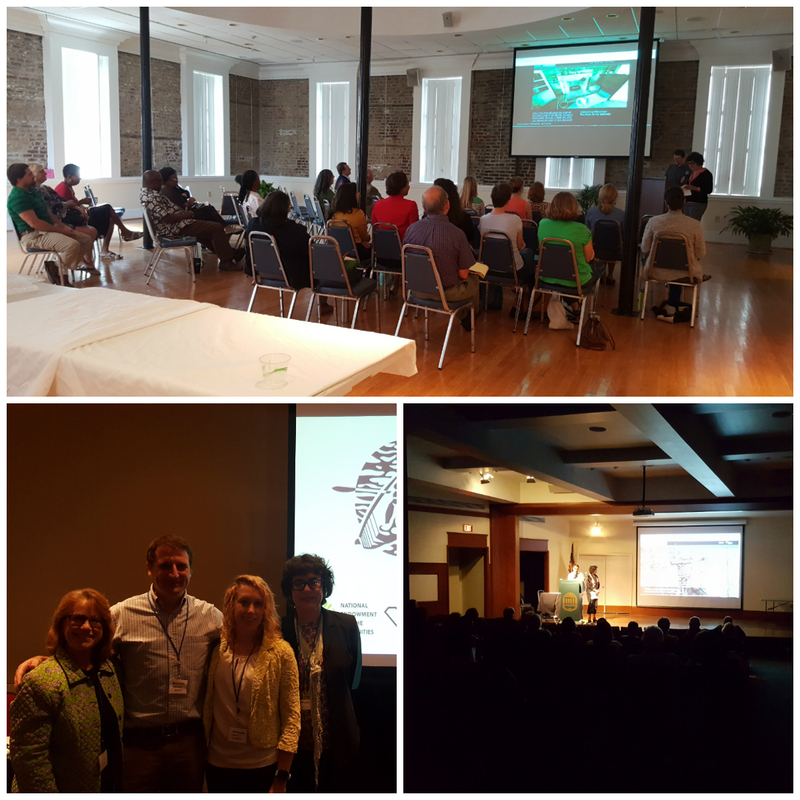 Between the Water launch events; top: Avery Research Center; bottom left: 2016 Slave Dwelling Project Conference; bottom right: Coastal Carolina University. These presentations have given us the opportunity to raise further awareness of the project, showcase the site’s resources, and gain valuable feedback from our audiences. The response has been resoundingly positive. We’ve been thrilled to hear that viewers who have gone to betweenthewaters.org after our presentations have gotten lost searching the site, spending hours exploring Hobcaw Barony’s complex history. We’ve also heard a recurring question from our audience and site visitors; what happens next? 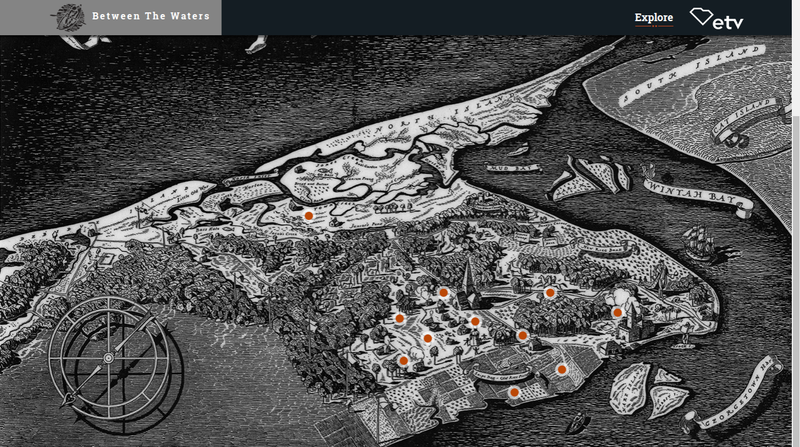 Screenshot of the Rockwell Kent map, the main navigational tool on the Between the Waters’ site. The Teacher Resources tab will offer cross-curricular, standards-based lesson plans. Developed in partnership with SCETV’s education department. These lesson plans are designed to be used by students in the classroom in conjunction with the digital tour experience. The Trails tab will allow visitors to navigate Between the Waters thematically, by following a subject of interest across the site. Visitors will be able to choose from over 20 different trails, with themes ranging from Native American history, rice cultivation, African-American religion and Gullah traditions, privilege and the leisure class, sexual identity and women’s suffrage, world politics, and many more. The trails will make site navigation more focused, a benefit to researchers as well as other users with specific interests. Under the Collections tab, visitors to Between the Waters will be able to access a database of media used throughout the site, including print documents, interview transcripts, the Baruch home movies, photographs, videos and audio files. This database will also contain documents related to local African-American history, including federal census records, labor contracts, a schoolbook found at the Strawberry Schoolhouse with notes from former students, and a list of names of the individuals buried in Marietta Cemetery – a historic African-American cemetery at Hobcaw Barony. We hope that by providing these resources we will not only expand the visitor’s digital experience, but assist with family genealogy research. 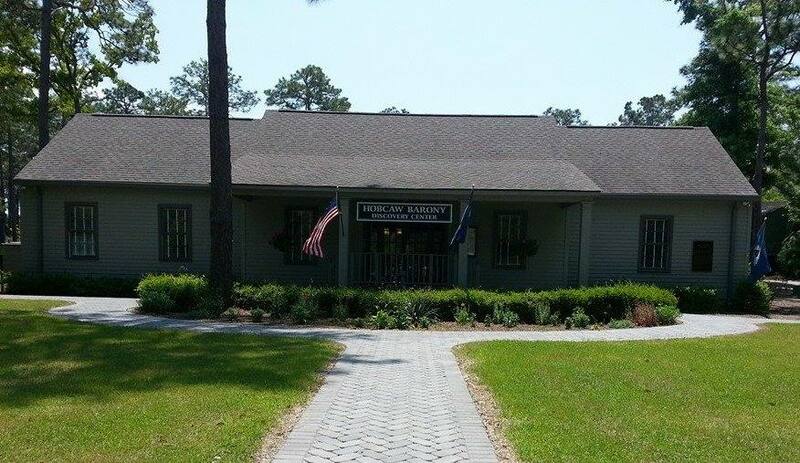 Hobcaw Barony’s Discovery Center and Museum. Later down the road plans will be developed to implement the website at Hobcaw Barony. Our hope is that the site, or portions of the site, will be accessible at Hobcaw’s Discovery Center. By making the site available at Hobcaw Barony we hope to expand outreach opportunities among descendants of former residents, and facilitate deeper relationships with Hobcaw. We encourage you to enjoy and learn from Between the Waters. Reach out to us via Facebook or Twitter, and let us know your reactions, thoughts, and any suggestions you may have. We always love to hear from our audience and supporters!